Adorn your bathroom by adding a touch of style with this high output wall light which offers both upward and downward lighting. Ideal for use above a mirror, this contemporary fixture will bring out the sparkle in your bathroom and will beautifully coordinate with your wall colour whether it's white, cream or any other shade. A highly sophisticated polished chrome finish is presented on this fitting which comes with white glass diffusers and includes integral electronic ballast. The light is IP44 rated and¬†suitable for bathroom zones 2 and 3. The product¬†is double insulated and uses a fluorescent lamp. Add to your bathroom wall and simply let it shine. 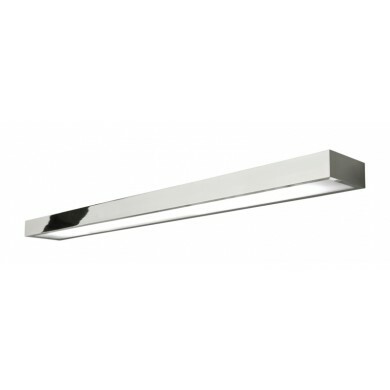 Could also be used as an uplighter and wall washer to illuminate that important interior.